Train Heartnet is known as the Black Cat for his quick reactions to attacks and his title as Number Thirteen as member of the secret society Chronos. He is an unbeatable master gunman, a cold and unfeeling killer until he meets Saya, a bounty hunter, or "sweeper". She teaches him the value of a human life, and that one should live in order to repent for one's mistakes rather than die because of them. Through her, Train learns to love and care for other people as he too becomes a sweeper and travels with his partner Sven and the mysterious girl Eve. Watch Black Cat Episodes Online at Animegg.org. 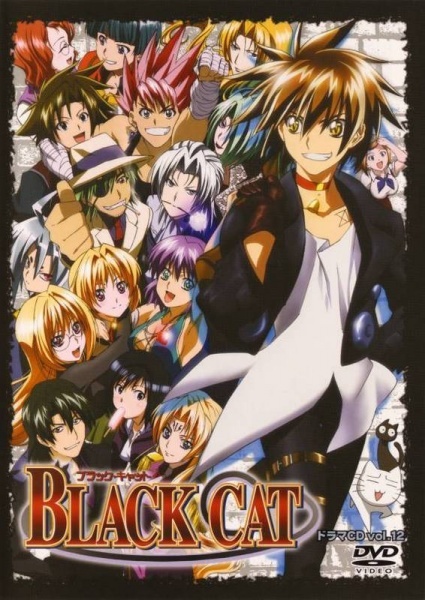 Black Cat is available in High Definition only through Animegg.org. Choose an episode below and start watching Black Cat in Subbed & Dubbed HD now.